Mission: Impossible 6 Already in Development? How good is Mission: Impossible Rogue Nation? So good, it's being reported, that Paramount doesn't want to waist any time getting the next installment moving. If we're to believe the latest news coming out of Hollywood, Mission: Impossible 6 is already in early development. Of course, this has not been confirmed by Paramount or anyone else involved with the franchise. 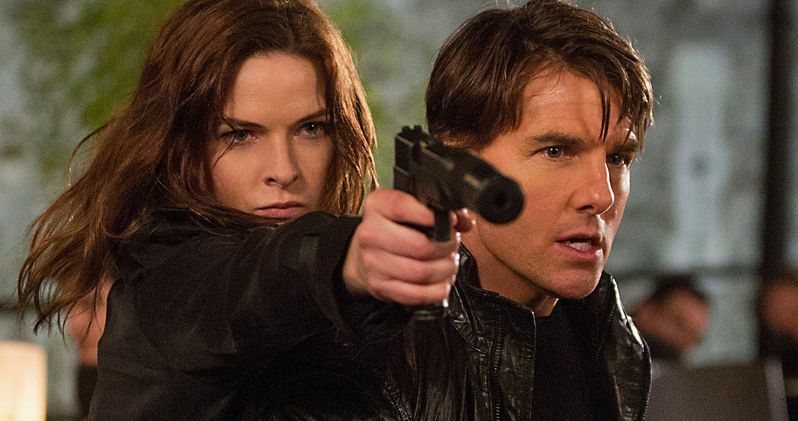 Mission: Impossible Rogue Nation isn't set to open until July, but it is getting strong early word of mouth. Paramount, Bad Robot and Skydance, the production teams behind the sequel, are beyond impressed with the movie. And it's reported that Tom Cruise, David Ellison, Dana Goldberg and J.J. Abrams will return to produce Mission: Impossible 6, with Don Granger and Matt Grimm serving as executive producers. Elizabeth Raposo will oversee development on the action sequel. And its expected that Tom Cruise will be back to reprise his role as Ethan Hunt. It isn't stated whether or not franchise mainstays Jeremy Renner, Simon Pegg and will also return, but its likely. Bad Robot has quite an impressive slate lined up for the near future, with Mission: Impossible Rogue Nation in theaters this summer, followed by Star Wars: The Force Awakens this Christmas. They also have the Star Trek 3 sequel on the horizon, and are behind the 11/22/63 Hulu series based on the Stephen King novel and starring James Franco. In Mission: Impossible Rogue Nation, Ethan and his team take on their most impossible mission yet, eradicating the Syndicate, an International rogue organization as highly skilled as they are, committed to destroying the IMF. While we await official word on Mission: Impossible 6, why not check out the Mission: Impossible Rogue Nation?